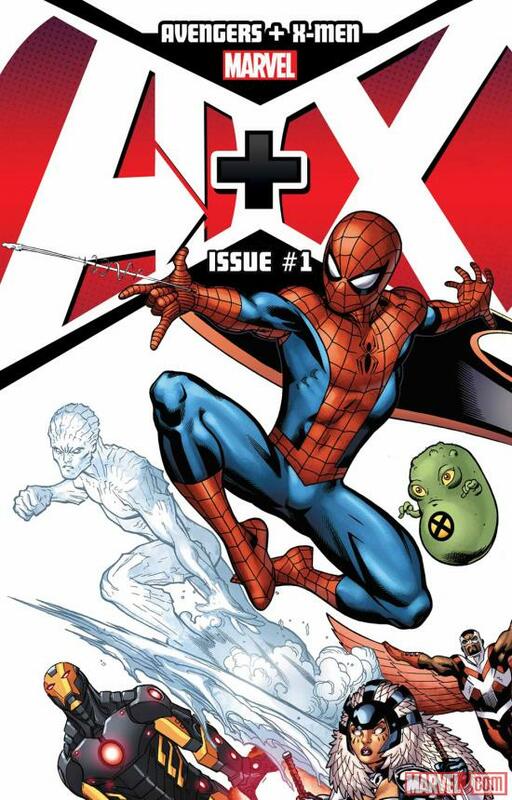 An interesting sort of anthology book, A+X is a team-up book for the Avengers and X-Men. Each comic features one member of each team, with two stories by two creative teams. 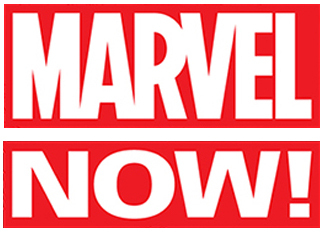 The first issue saw a Captain America/Cable team-up by Dan Slott and Ron Garney, and a Hulk/Wolverine story by Jeph Loeb and Dale Keown. Both involved time travel, and both weren’t bad either. It looks like along with the cast, the creative teams rotate as well. If you want to see members of each group team up for an irreverent, non-continuity adventure, this would be the book for you. I can’t say this is going to be as big or as good as say Uncanny Avengers, but it’s a nice side story read. After the epic run by Jonathan Hickman, we all knew that the next writer would have big shoes to fill, like Sideshow Bob sized shoes. The good news? Matt Fraction is a capable writer, having had a definitive run on Iron Man himself. So what does Fraction bring? Surprisingly, something very similar to Hickman. Fraction starts off with the FF on an adventure, and then immediately brings the family element to it. Where Hickman augments Marvel’s First Family with the Future Foundation, Fraction then reincorporates them into the group by going on a transdimensional field trip with the kids in tow. That’s how you evolve from a great idea, by taking the great idea and bringing it to its next logical conclusion. Of course Reed would want to teach the kids, as opposed to just running off with Johnny, Sue and Ben. On top of all of this, there’s the dark secret Reed is keeping from the others, but I’ll let you read that for yourself! If you liked Hickman’s run, Fraction gets us going in a new direction with the same sense of wonder and adventure. One of the other flagship books of Marvel Now!, along with Uncanny Avengers and Avengers, this is THE X-Men book. Brian Michael Bendis has been THE MAN when it’s come to the Avengers, and he brought them into the spotlight with Avengers Disassembled, and the rest is history. Now he’s taking on the X-Men with Stuart Immonen, but they’re not just any X-Men, they’re the original five! Thanks to the quirks of time travel, current Hank McCoy has gone back in time to appeal to the original Hank, Jean Grey, Bobby Drake, Warren Worthington and Scott Summers to come forward and talk sense into the man who is responsible for the proliferation of mutants, as well as their being hunted down: Scott Summers! The time paradoxes and confrontations alone are enough to make me giddy with excitement to see what happens next. Bendis has shown he’s very capable with not only individual comics (see: Ultimate Spider-Man), but also team books. With this new wrinkle in the Marvel U, I think BMB has a chance to have one of the more talked-about X-Men runs. Add on top of that the always excellent Stuart Immonen art, and this is a well-written, pretty book. Mark Waid and Leniel Yu on any book would make me excited. That it’s the Hulk makes it very possibly a mainstream success. It’s amazing to think that Mark Waid has been writing for nearly two decades now, and I think his more recent work is his better work. Between Irredeemable and Daredevil, Mark has written some of the best superhero stories in the Modern Age. The Hulk has had trouble getting traction, with Jason Aaron’s run being a good, but not great one. Waid’s first issue was pretty innovative at that. Bruce Banner has come to terms with the Hulk, he compares the Hulk to diabetes, a disease that has no cure but can be controlled. So Banner has come to S.H.I.E.L.D. with an offer for his services, in exchange for the resources to help the world. Waid makes the focus on Banner, with the Hulk as the supporting cast member, and I think that works. There’s only so many ways Hulk can be awesome, and Greg Pak explored a bunch of them, just like Bendis and Brubaker explored the dark depths with Daredevil. Waid is doing a magnificent job changing Daredevil’s tone, and it looks like he’s struck gold with Hulk as well. Rick Remender is really playing up the sci-fi adventure elements of the Marvel Universe. First, he gave us “They Saved Xavier’s Brain!” and now we have “Captain America in the Negative Zone!”. Remender does a good job with Captain America, retaining the same hard-nosed, bulldog persona that we know and love, but also putting him in situations where a normal person would just crawl into a fetal position and drool. The story with Captain America definitely takes him out of his usual comfort zone, which is battling Hydra, AIM and other manner of super villains… sort of. Instead of punching out baddies on Earth, Cap is dealing with Arnim Zola in the Negative Zone. The premise is pretty cool, but when you throw in Cap’s surprise charge, you’ll see that there’s a lot more going on. John Romita Jr. is a legend, and his art is beautiful. This book is definitely not the Brubaker Cap, but it’s fun adventure, and something I can recommend to those who just want sci-fi fun. Be Heroic, Read a Comic!